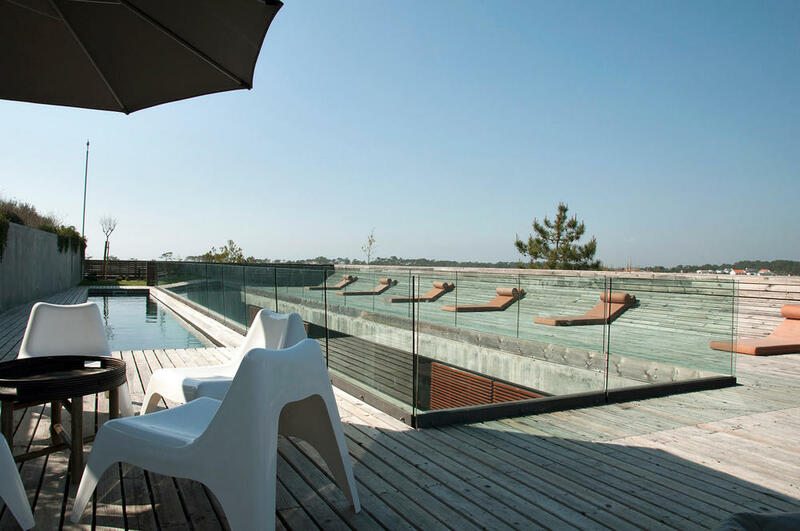 Being located on the house's rooftop, the heated pool is the hidden treasure of Casa da Comporta. While during the day is the perfect place to cool off after coming from the beach, at night the rooftop pool is magnificent to watch the stars while enjoying a glass of the best wine from Alentejo. Ideal to observe the surrounding countryside and the distant Arrábida mountain range, the pool of 15 by 2.5 meters is elegant, discreet and has a spacious deck to enjoy the good weather!